They serve our lunch, make our beds, clean our toilets – yet they remain hidden from view. 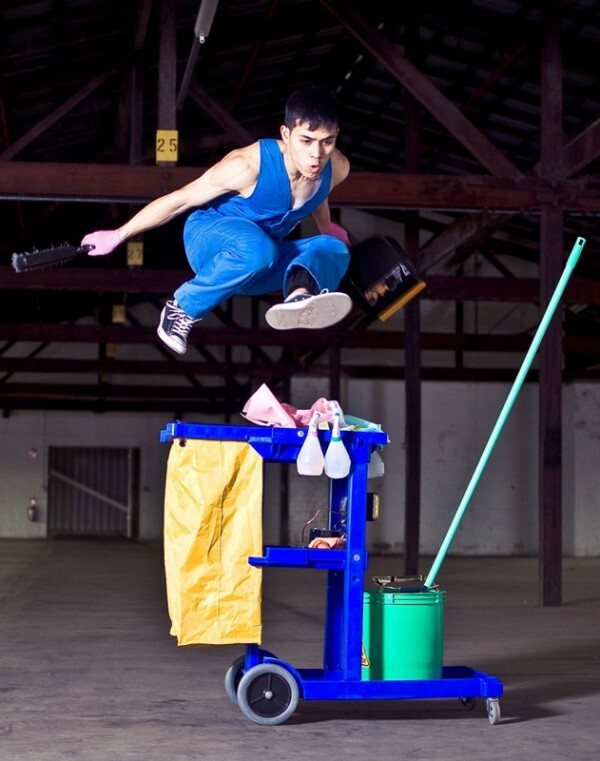 The performers in the Australian company Branch Nebula, comprising a footballer from Sri Lanka, a Colombian performance artist, a Filipina-Spanish dancer, a Thai-Iraqi obstacle course driver, a Filipino breakdancer and a Japanese audio artist, have no reservations about scrabbling in filth or bathing in sweat. They experiment with the complexities of class, power and dignity and with the dynamics of the relationship between servant and master. Whether on the stage, in the audience or at the dinner table, someone is always on top.